Have you ever earned money as a contractor or a small business owner? If so, this scholarship opportunity is for you. If you are a qualifying student (see “who can apply” section below), you may submit a 750 to 1,500 word essay describing how your experience working for yourself as either a contractor or small business owner has impacted your view of education and your future. The winning application will receive a $1,000 scholarship. Why are we specifically rewarding this kind of experience? Self employment teaches people lessons of independence and accountability that can’t be found through any other experience. In the beginning, it often doesn’t pay as well as traditional employment, but we believe that the lessons taught by the self employment experience will pay dividends in both education and perspective long after the work or business concludes. Therefore, we would like to reward students that choose to take this unconventional path and encourage more to follow in their footsteps. You will be notified at the email you submitted with, close to the winner announcement date, if you are a Finalist. We will need a timely response from you soon thereafter, if so. Please submit your application with an email that you check often. 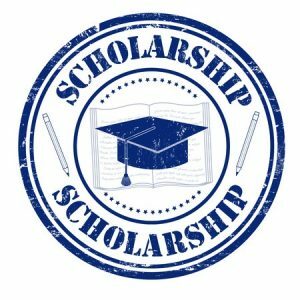 This scholarship will be awarded during the Fall and Spring semesters. Fall applications are accepted from April 2nd through November 1st. The winner will be announced November 15th. Spring applications are accepted from November 2nd through April 1st. The winner will be announced April 15th. ChooseWhat Founder, Leo Welder, will select the winning application. The winner will be largely based on the relevance of the examples used to demonstrate lessons learned and the quality of the writing. The student with self employment experience submitting the best essay will receive a $1,000 scholarship in the form of a one-time check sent to the school’s Financial Department, to be applied directly toward the student’s current or upcoming semester tuition. 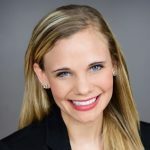 Spring, 2019: Carrie Borchardt plans to complete the nurse anesthesia graduate program at Northeastern University in 2022. Growing up in the suburban Midwest, in a homeschooled family of nine, self-reliance and sufficiency were embedded in each learning experience. From helping around the house to managing her own caretaking business, through which she employed siblings and friends, the spirit of entrepreneurship was instilled in her from the start. Read more about Mrs. Borchardt in our Spring 2019 scholarship winner announcement! 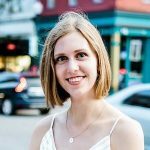 Fall, 2018: Anna Lawrence, freshman at Cape Fear Community College, discovered she would like to pursue a path toward self-employment when she began selling uncanny dog portraits while still in high school. Since then she has been commissioned to create a diverse assortment of artworks. Her goal is to transfer to an art university next semester, where she can learn more about the business aspects of the art world, develop her skill-set and earn a degree. Read more about Ms. Lawrence in our Fall 2018 scholarship winner announcement! 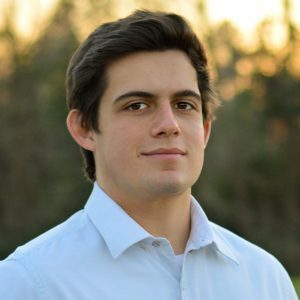 Spring, 2018: Matthew Stewart will graduate from Georgia Southern University in the Spring of 2020 with a degree in Construction Management. He has been accustomed to carving out his own way since he was a young boy. Tired of working exhausting hours, Matthew has started his own welding business that he has been successfully running alongside his studies. Read more about Mr. Stewart in our Spring 2018 scholarship winner announcement! 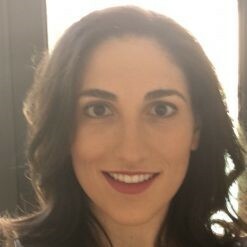 Fall, 2017: Rachel Marcus will graduate in December and start a master’s program in Physician Assistant Studies at Yale University in January, 2018. When she first started college, Marcus was not able to find a job flexible enough to accommodate her class schedule. As a result, she created her own opportunity by starting a baby-sitting service. Read more about Ms. Marcus in our Fall 2017 scholarship winner announcement! Spring, 2017: Davis Carl Johnston started his lawn maintenance business when he was only in seventh grade. 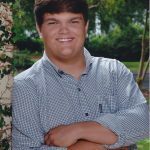 Now in college pursuing a degree in land surveying and geomatics, he has expanded his business to include raking pine straw and leaves, hedge trimming, and small tree removal. Read more about Mr. Johnston in our Spring 2017 scholarship winner announcement! Fall, 2016: Joy Elizabeth Vick, Fashion Design and Visual Communications major at Los Angeles Trade and Technical College, Class of 2018. 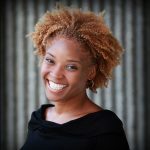 Ms. Vick has been self-employed as a seamstress, wedding singer, and surface designer. Read more about Ms. Vick in our Fall 2016 scholarship winner announcement! ChooseWhat’s purpose is to guide entrepreneurs through the steps to starting a business. We do this through our startup guide which includes detailed how to’s, comparisons and reviews of business technology and infrastructure products, STARTicles and our community forum. Starting a business today is easier and cheaper than it’s ever been, however, most people don’t know how to take advantage of all the resources available. Its our mission to find those tools and share them with the entrepreneurial community.